Many of our Brides and Grooms-to-be have never had professional images taken as a couple. Often, the last time they worked with a photographer was for their senior portraits! To help couples feel more confident and prepared for their session, we’ve put together some helpful tips for you to review as you prepare for your upcoming engagement session with us. Feel free to bookmark this page, and refer back to it as needed. If you think of any additional tips that we’ve missed, please do let us know so we can add them to the list for future couples! If there are particular spots that have an emotional or nostalgic tie to the two of you, please include those in your ideas for a location. We’d like your portraits to “speak” about you and your relationship, and those spots are likely to make you feel the most comfortable. If you’re completely drawing a blank, don’t hesitate to ask for suggestions. We almost always have a great place in mind that we haven’t photographed at, or a list of tried and true places to recommend. If you have a family home, cottage, or farm that means a lot to you, consider having your session there. 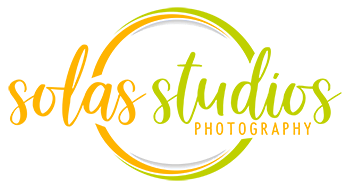 It eliminates the need to get permission ahead of time and will give your session a more intimate feel without the crowds. If your session includes 2 or more hours of time, we usually give you the option to choose two nearby locations for your session. We usually start with a place that will give good light during “golden hour” and choose a great spot for sunset as your secondary location. If your primary location isn’t close to a lake or pond where you can gain westerly facing access for sunset, we can also schedule a later session and include night time shots. Night shots are great for an urban session or place that’s nicely lit after dark such as a lit building, pier, or sidewalks. If your choice of location is a restaurant, coffee shop or other public-access places, we do require that you get permission to have your session there a few weeks before your scheduled date. Some places will give permission without charge if the couple does the asking but will charge a fee if the photographer is requesting permission. Therefore, we ask our clients to make the call, and document who you spoke with for permission to have your session there to avoid any added fees. Some places require a permit for exclusive use of the location. Some of the city parks such as Franklin Square Park require this to have guaranteed access and will grant you the ability to request anyone there leave the premises during your session. If you do want exclusive access, we recommend requesting the permit well in advance and bringing it with you to your session. State and county parks have entrance fees, but will usually not be a problem to have your session there. Green Lakes State Park has given trouble to many local photographers in the past, with conflicting information about fees to photograph there. Some clients have reported as much as a $300 upfront fee after calling or facing a fine for photographing there, so we do caution couples wishing to have their session there that it could be cut short by the park rangers. Makeup is essential for some ladies to feel their best! However, it can cause complications if it is over-done. When applying foundation, keep it light, especially on a hot and humid day. When we sweat it tends to run and cause a blotchy look. It’s much easier for us to fix blemishes than it is to digitally redo makeup. Powder foundations work very well for appearing evenly in photos, and helps avoid that “shiny look”. Straightened hairstyles look really great to the naked eye but can produce a lot of fly-aways and fringe that are accentuated with light and the wind. Those are sometimes impossible or not easily corrected in post-production. We recommend against using heat application to straighten your hair for your session, and going with a more natural or curled style to avoid the unwanted “strays”. If you’re planning a hair and makeup trial with your stylists, you might even schedule your trial on the day of your session. Even if you are not looking for the same hairstyle you’re wearing on your wedding day, they may be able to adjust it after the trial to give you a slightly different look. Invest in some Oil Absorbing Sheets to bring along with you on your session day. It will keep you from looking oily or sweaty, and maintain a natural appearance in your photos. Guys and gals alike should avoid any drastic new haircuts, hairstyles, shaves, or makeup right before your session. Trying to adapt to a new hairstyle or haircut under pressure is usually not a good idea. If you’re looking to try something new, test your new look out at least a couple of weeks before the scheduled session. This will give you plenty of time to get used to creating/styling your new look, and it will appear much more natural in your portraits. Bring along some lip gloss or lip balm! This goes for the guys as well! If your lips are dry, it will show up in your photos, and it’s not something that can be completely remedied in post-production. All that smooching dries out your lips and makes them look… unkissable! Keep them dewy and soft for all those kisses you will be shelling out during your session (and hopefully after your session is over, too!). Coordinating your clothing is one of the hardest things that couples struggle with. The most important suggestion we can make is that whatever you choose, be sure it fits comfortably in both standing and sitting positions. Colors are usually the second most important part to focus on. We recommend steering away from bright reds, light aquas, and dark greens. Bright reds will draw the eye directly to the article of clothing in your photographs. We want YOU to be the focus of the image, not your red top or clothing. Aquas can look really pretty as long as they are not close to the neck or face. The skin will reflect an aqua color cast, and make your skin look the same color aqua. Dark greens are great if you’re planning a winter session, but will otherwise compete with any trees or grass if your session is in spring, summer or fall. If you love green (and we definitely do), choose a lighter or brighter color green that will not blend into Mother Nature! Bold or vivid patterns are also something to take into consideration. They act a lot like “reds” in that they direct all the attention to the pattern. Smaller or less “busy” patterns are okay, but we recommend avoiding something that will detract from your faces. If you’re looking to change your outfits or mix up your look a bit in your images, scarves, ties, hats, overcoats, sweaters and vests are a great way to add visual interest that can be removed easily to change things up. Dress shirts and pants are subject to wrinkles when they are fresh out of the dryer or the package. Be sure to check your clothing for wrinkles, and iron anything before your session. Wrinkles are not something that can be eliminated in post-production. Or save yourself some time and hassle and choose wrinkle-free fabrics for your session! Comfy footwear! This is one not to forget – trust us. The ground is often soft, or the terrain is uneven which makes for difficult walking, and CAN ruin your shoes. Bring along your dressy shoes for the photographs if you like, but wear the comfy shoes to get there. A cute pair of rain boots or sneakers can also make a nice accessory in your photos, as well! If you’re planning a dressy outfit that just must include a nice set of heels, consider purchasing a set of SoulMates to protect your heels, and will help keep you from sinking into the grass or dirt. They’re also a great gift for your Bridesmaids too! We’d love for you to include your fur-kids in your session, if that something you would like to do. If your session is 2 hours or more in length, we definitely encourage you to do so. We ask that your pet is up-to-date on all of their shots, and not be aggressive with strangers. For the safety of everyone involved, animals that have a history of biting or being aggressive should not be brought along. If you’re bringing your pet to your session, we ask that you include them in the first few shots of the session so that we are sure to have some time to photograph them. We recommend having a pet sitter to take them after their part of the session is done, so you can focus on the two of you for the remainder of your session. For dogs, remember to bring a leash, and choose a leash and collar that you don’t mind being visible in your photographs. To help get your pet’s attention, or to keep them focused, bring along their favorite toy and some treats. We always encourage our couples to include at least one activity for their session. It helps to break the ice and allows you to focus on each other, rather than the camera. If your session will be on a lake or pond, you could incorporate fishing or canoeing. If your session isn’t near a body of water, consider a bottle of wine and a blanket with some grapes or finger food. A visit to a local coffee shop, pub or ice cream stand is another great idea if your session is nearby your favorite place. If you’re a musical couple, think of ways to incorporate a romantic serenade! Summer sessions are perfect for a lot of activities, so brainstorm some of your favorite pastimes and see if we can incorporate them into your session! Fall sessions lead way to some great activities like apple or pumpkin picking and wine tasting. Winter Sessions (not for the faint of heart) provide lots of fun snowy opportunities like building a snowman, sledding, and playful snowball fights. If you’re planning a change of clothing, bring a couple of different options that will accommodate any weather changes. Spring, summer and fall evenings can get chilly, so make sure you have an extra sweater just in case! Bring along a nice solid-colored blanket to your session that you both will fit on. It can be used to keep your clothing dirt-free, or can be incorporated into the scene, should there be a good spot for you to be seated in any photos. Make sure to bring along some bottled water to drink, especially on those scorching summer days! Having a few extra bottles handy can’t hurt since drinking plenty of it will make you feel so much better! Eat a light dinner before your session or bring some snacks! Being adorable can work up an appetite, and we’re not kidding. We’d rather break for you to get a snack than have you “hangry” for the last part of your session! Consider bringing along a bottle of wine for your session. Use it to your advantage for a prop, and to cure some of those jitters you may have about being in front of the camera. This has worked for many of our couples, and they have mentioned feeling a lot more at ease after a glass of wine. Bear in mind, one of you is probably going to be driving, so we ask you to use your best judgment if you opt to do this! If you choose to bring a bottle of wine or champagne with a cork to your session, don’t forget to bring a bottle opener! Bringing along breath mints for your session will make for happy kisses! Your smile and your sense of humor! Don’t take your session TOO seriously. If you’re not a very serious couple, then please be silly and not afraid to act normally. If you ARE a serious couple, then perhaps that wine suggestion is just for you. We promise to let you know if something you’re doing isn’t flattering in photographs, and we promise to do our best to make images that you will love. So laugh, have fun, relax, and let us do all the work. Your job is to enjoy yourselves and BE yourselves. If you can do that, your images will be fabulous! We have never had one couple say that they didn’t enjoy their session, and we’re pretty sure you won’t either! If you’d like to download a PDF version of these tips to print and keep on hand, you can access it here. We look forward to photographing the two of you!